Is there any better hour of the day than happy hour? It signals the end of a long day and the beginning of relaxing good times with friends. 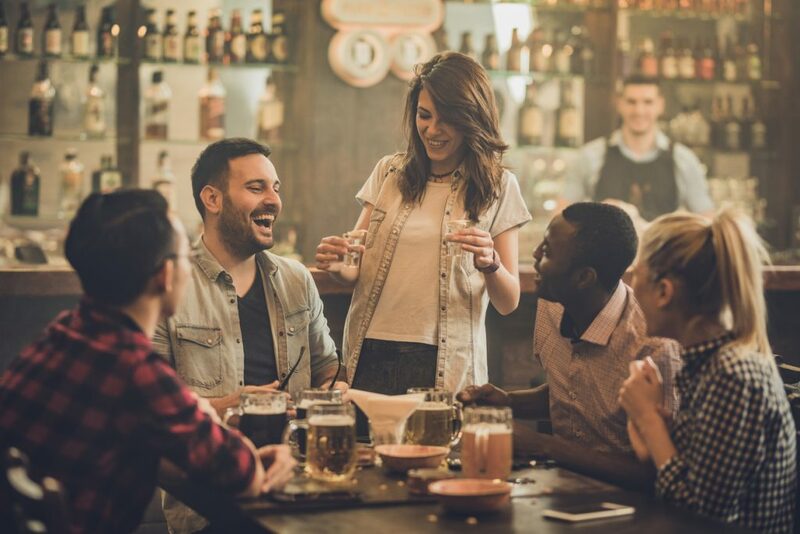 When you’re looking for a happy hour in Chicago, the area around OneEleven has got you covered with a variety of options. A few of our favorites are listed below. For a taste of Chicago’s premier Tiki bar, named one of the world’s fifty best bars by Drinks International, check out Three Dots and a Dash. From the secret entry hidden under the streets to the use of the finest rums and distilled spirits, this bar provides an experience unlike any other. Offerings include nineteen Tiki drinks and over two hundred types of rum. Are you hungry? Snack on poke or frites, too. Patrons love the beautiful drinks, fun atmosphere, and central location. Talk about making the hour happy! Interested in a little fun with your drinks? Stop by Brando’s Speakeasy to try out the top karaoke bar in Chicago. With vintage tavern décor and great food and drinks, this bar is the perfect place to blow off some steam. The drinks include martinis, cocktails, specialty drinks, and beer. Customers rave about the great DJs and community atmosphere. Happy Hour happens daily from 5pm-7pm. Maybe you’re looking for a more refined experience. With a rustic chic interior and an extensive wine and drink list, The Marq fits the bill. Craft beer, glasses and bottles of wine, and nine specialty drinks, such as the “Cool as a Cucumber” mezcal mix and “In Between Flights” bourbon mix, ensure that there’s something to suit every taste. Pair your drinks with delicious lunch or dinner gastropub fare. Also, don’t miss the peanut butter mousse dessert. Patrons love the delicious food and cocktails and friendly service. If you’d rather have a delicious cup of coffee instead, stop by these three shops that serve Turkish coffee. The best part? All of these options are convenient to residents of the comfortable OneEleven community. Contact us today to learn more about calling our community home.